Listen to music with your friends in Discord! Listen to music with your friends without leaving Discord, for free! Moosic was designed to be super easy to use: no setup is required! Simply add the bot and use the play command to play music. Wanna listen to music in two channels at once? Add Moosic² and you can! Looking for a multipurpose bot? AdvaithBot is a cool multipurpose bot with commands for fun, animals, searching, utility, text, info, moderation, urls, and emoji! 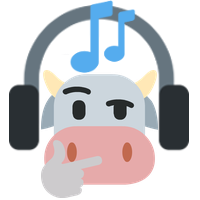 Moosic was created by advaith.